In yet another case of a search engine finding itself in hot water over racist, sexist, or otherwise problematic search results, it appears Microsoft’s Bing—whose technology also powers Yahoo’s search function—is returning wildly offensive related search suggestions in its image search function. A report from online tech blog How-To Geek published Wednesday surfaced a number of alarming returns on queries, including racist language and conspiracy theories. The issue seems to have surfaced through a feature in Bing’s image search that populates related queries, which are generated by algorithms but can also reflect the search habits of individual users. (We’ve seen similar issues with other search engines like Google in the past, and fixing them often involves human moderation.) In one such example for Bing, even with its default SafeSearch function enabled, How-To Geek reported that an image search for “Jews” returned the suggested queries of “Evil Jew” and “Dirty Jew.” An independent search by Gizmodo did not turn up the same results for the same query, though it did find (as appeared to also be the case for the Verge) problematic suggested queries populated for other ethnic and racial groups. Because it uses Bing, Yahoo’s search function also appears to be surfacing racist search queries. 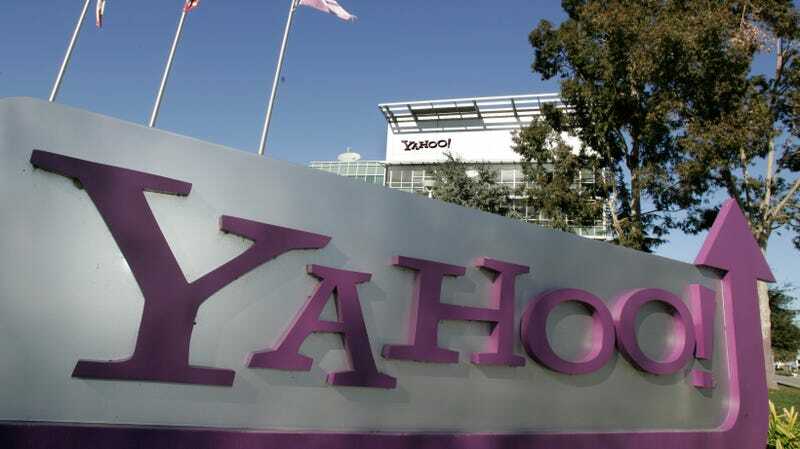 According to findings from the Verge and independently replicated by Gizmodo in incognito mode, searching “black people ar” or “Muslims ar” in Yahoo’s search bar turns up several racist autocomplete queries such as “are stupid” and “are evil.” Clicking through several of these searches surfaced results from Yahoo Answers with similarly offensive content. How-To Geek also reported that it found searching for “gril,” a common misspelling of grill or girl, led users to related searches that included “cute girl young 16.” Further clicking that related search term surfaced pornographic images, according to the blog. Gizmodo wasn’t able to independently replicate similar search results either with the SafeSearch function on or off, though several hours had elapsed between How-To Geek’s original report and Gizmodo’s attempt. We take matters of offensive content very seriously and continue to enhance our systems to identify and prevent such content from appearing as a suggested search. As soon as we become aware of an issue, we take action to address it. Enabling a safe, engaging experience across all of our platforms is a top priority for us. Our Community Guidelines prohibit hate speech. Violations brought to our attention are reviewed by our moderation team and actioned consistent with our guidelines. It’s important to note that technology isn’t going to moderate itself. If anything, what this shows is that it may be time for these unbelievably rich companies to funnel some of their immense wealth into better moderating their platforms in order to avoid such commonplace racism. Update 10/11/18, 1:45 pm ET: Added comment from Oath.